Building a home when we lived nearly 100 miles away made us nervous because we knew it would be difficult to visit the site as often as we would have liked to. Knowing that we have very exacting standards would make it even more complicated. Building a new home is both a very busy and exciting time. We’ve had had homes built in the past and can say that when things get off to a rocky start takes it really takes the fun out of life. Luckily as soon as construction started we immediately began to see the quality of workmanship that was going into our home. The quality level of subcontractors selected was second to none. When you’re not around as often as you want to be to see the progress being made it can be very frustrating. There were times when we were really surprised to see higher quality materials being substituted. This is the third home we have had had built and nothing could even come close to what went into this home. Were not saying that everything was always perfect, there were times when we thought something was done wrong, or just didn’t like the way it came out. But in every case we found a way to work things out and couldn’t be happier with the finished product. When the house was done Rick Bernard was there to make sure everything was right. On the few issues we had he was ready to fix them without question and still calls us to see how everything is doing. I think we have a fantastic home, built to the highest quality. We couldn’t be happier with the final product. As first time home builders, we were very concerned about doing things right and avoiding problems which seem to be all too common in the residential home construction business. We had heard of countless horror stories about frayed nerves, general bickering, including lawsuits, and financial disasters arising out of the construction process. We were looking for a builder committed to detail and a quality product who we could deal with on a one-to-one basis. Simply put, we were looking for someone we knew had the capability of taking our plans and building our home who we could get along with. Finally, we were looking for someone with an impeccable credit rating on all current and previous jobs who we could trust to start and complete the job. …When our search was completed, one person stood head and shoulders above all of the rest. You know who that person is. We have now been in our new home several months and we would make the same choice of builder over and over again. However, we will not be building for some time since we love our new home and know it will suit our needs until our family is and gone. We know the home will be there for other families to enjoy long after Joyce and I are gone too. Rick, we unqualifiedly would recommend you to others as not only a superb builder but one who has the respect and rapport of the fine group of subcontractors with whom you work. Just as importantly, Rick, you have been very honest and straightforward with us which means almost as much as the job well done. Home Run, Hat Trick, Slam Dunk and Touchdown – all applicable adjectives to describe the relationship between Rick Bernard and the Laneys. 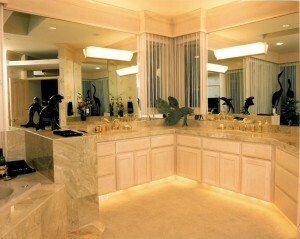 Tremendous attention to details coupled with quality workmanship by your subs made our house a truly unique home. We thank you for all of the above and beyond items that you handled for us and for your diligence concerning all aspects of construction. Upon meeting Rick Bernard we felt he was the right match for us. Looking at his work and talking with other homeowners who had Bernard Custom homes, we knew we would get a quality job. We were not disappointed. From start to finish, Rick was exceptionally attentive to the job, always concerned that the best job was being done by his skilled sub contractors. He was a real “watch dog” as any good builder ought to be. His subs were excellent and extremely personable; we never felt in the way while construction was in progress. Delays were kept to a minimum, deadlines were met, and we calculate that the entire project took five and a half months. Rick was always organized and forewarned us of upcoming decision deadlines well in advance. His suggestions on suppliers were excellent and well worth following. In addition, he was responsible for several improvements on our design, creating a more open, friendly and practical space, all conducive to what we wanted. We were thrilled with the end results. Rick’s most remarkable attribute is his commitment to making his customer happy. Whenever there was a question or problem, as all new houses have, he was immediately “on the spot,” pursuing answers and/or repairs quickly. Even a year later, Rick was prompt to respond to a problem and to take responsibility for the repair. He is a man of real integrity. In closing, we found the whole experience from start to finish to be an exciting and fun one. We feel Rick should take much of the credit for making that possible. Not only did we come away with a wonderful house, but also with the opportunity of getting to know such a fine person. We could not recommend anyone more highly. Carol and I would like to express our sincere appreciation for the job that Rick Bernard did building our dream beach home in Manzanita, Oregon. From our very first meeting with Rick, we were always impressed with his sincerity and professionalism in which he displayed during the construction process. Living in Bellevue Washington, a distance of 4 hours from Manzanita, it was very important for us to have a builder that we could trust and have the confidence that the project was going in the right direction. It was of the utmost importance to visit the job site as often as possible. However, when this was not possible Rick would call to update us on the process. Rick was very diligent at keeping us informed at every phase of the project. At the end of the construction we told Rick that we would miss his Friday afternoon phone calls. Rick was able to build our home per our contract as well as coming in on our agreed budget, which was very important to us. Being the owner of Western States Sales, Inc. a manufacturer representative of plumbing supplies for the past 28 years I have dealt with builders and sub contractors on many occasions and have a full understanding of the challenges that one faces during the construction process. Rick demonstrated an ability to problem solve when faced with the unexpected and met some challenges that were specific to our project. We would not hesitate to use Rick Bernard and Bernard Custom Construction on any other project or to recommend Rick to any other potential client. We want to thank you for an enjoyable house building experience. Unlike so many horror stories we heard before and during our project, we can truly say that building our home was a fun and rewarding experience thanks to your efforts and expertise, especially as this was our first building project. While this is indeed our dream home, if for any reason we do undertake another project, we would like to think you would take us on again. We wanted to take a moment to thank you for the superb service as our contractor. Over the years we have heard horror stories from various sources regarding the construction of a new house. We entered the process with excitement but also with some anxiety. Our experience, contrary to the stories we heard, was wonderful. That satisfying experience came largely from your expertise and guidance. From the beginning you were there to guide the process. Calls were returned and questions answered. Your team of subcontractors, tradesmen and professionals was courteous, neat and timely. The bid was on the mark and the house was finished on time. Despite living 4 hours away from the construction site we felt adequately involved in the building process. You regularly informed us of the schedule and we were able to time our visits to maximize our on site presence. Now we have the beach house we dreamed of and a friend in Manzanita. If we ever choose to build again we can only hope that the experience is as rewarding and pleasant as this one. We will recommend you to anyone who asks about local contractors. Please do not hesitate to use us as a reference. In the year 2006 our ‘Beach Home’ in Manzanita was built by Rick Bernard of Bernard Custom Construction. Rick did an exceptional job and did everything and more to make a warm and comfortable home for us and our family to enjoy. Rick is a quality builder, who takes great pride in the process of building a new home. He worked with us every step of the way. Beginning with finding a design architect for our home site, promptly answering our many questions, and ending with helping us move in our sofa. Over the years we have seen many of Rick’s beautiful homes. We were always pleased with the crafts of the many subs he contracts to build these homes from the foundation up. So having Rick build our home was absolutely the right choice for us. We highly recommend Bernard Custom Construction to build your dream home. Our “Dream House” needed a “Dream House Builder” and we found that builder in Bernard Custom Construction. You spotted potential problems in our design at our first meeting and gave us helpful advice before we had even engaged you as our builder. This concern for seeing that our home was the best it could be while still fulfilling our personal needs was maintained throughout the building process and continues even now that •our home is completed. This may be the only custom home we ever build so it was a joy to find a builder that made it a trouble free and enjoyable experience. Kristi and I would like to thank you for the outstanding job you have done and all the effort you put forth in building our 1998 Custom Street of Dreams Home. We are settling comfortably now and enjoying our serene acreage setting. We would like to give special thanks to Mike Barclay our architect, Susan Green for interior design, Al Haas for cabinetry, electrical work by Dale Rose at Harvey Rose Electric, masonry by Lisac’s Fireplaces & Stoves, concrete flatwork by Specialty Concrete, NW Custom Painting, and Trey Beneville landscape architect. Your unique relationship with these contractors gave us the level of quality and the professional workmanship we required in building our home. In working with you we found attention to detail, patience with alterations, an ear for our ideas, and an eye for our visions. You either met or exceeded our expectations. This resulted in a place we will call home for many years. If we may act as a reference for you in the future please do not hesitate to contact us. Again, thank you for your hard work and dedication. Rick, we want to thank you for building our dream home. It is all we ever wanted it to be and if we were to build again we would once again pick you. We are so thankful you talked us out of the first lot we choose. Our Ashdown setting is perfect and we love it here. Many people have gone through our house and everyone comments on the workmanship, detail and floor plan. We choose you for those very reasons. You did all you said you would. We wouldn’t change a thing. Chuck and I are not the easiest people to please and we felt we had a great relationship with you at the beginning and a even better one at the end. That is something we hear doesn’t happen with all builders. We wish you great success in you business. We also wish you happiness and health. As prospective homebuilders we looked at builders who could give us the most for our money and still get the quality we were looking for. Bernard Custom Construction gave us both and a whole lot more. Most importantly you listened, whether it was answering a question or understanding what we wanted. Rick you take the time to please. As a Realtor I know the importance of standing behind your company. When something needs to be done, a problem solved, or just keeping your word, you can be counted upon. That is not the case with a lot of Home Builders. Rick we gave you the setting, you gave us a truly magnificent home that will grow old gracefully. Thank you. If we should ever decide to build another home it most certainly would be a Bernard Custom Home. We feel that Rick is honest, trustworthy, very experienced, knowledgeable, and very dependable. Rick has followed through on every aspect of construction, including any concerns that we may have had months after we moved into our home. We would highly recommend Rick Bernard to anyone interested in quality construction at a fair price. The purpose of this letter is tell you that this new home you so painstaking built is more than we could have ever imagined. I guess when you look at construction drawings and renderings of a new home, you just don’t get the full impact of its meaning. It has been three months since we arrived and we still walk around in awe. Do we really live here? One of the best things that have ever happened was to meet you. If we had moved to Manzanita and gone through some of the “horror” stories we have heard about building a new house, it certainly would not have been the same. I could give you plaudits forever about the quality of this house and your almost obsessive compulsions with detail and being absolutely right in what you do. You are the only person I know that told me for 30 minutes how one nail given the wind and rain could cause such damage. Trust me; it’s nice to meet an individual that believes building a given house is just not a day’s work. You really care. And oftentimes, you worry about more than you should worry about. If I now can get a bit specific, I would mention a few things that standout in my mind Of course, I could also fill a notebook with all the extras thought and vision that is a part of this home. First, your subcontractors were extremely capable, all the way from the framers to the guys in cabinetry and electrical. Your relationships of thirty plus years with some of these folks make for great results. When you meet people with such talent and experience, it is simply a joy to hear and watch them plan. Right off, you know these people know what they are doing. And, everyone in their own way, added to the structure. I was genuinely impressed that you accepted recommendations from the rank and file that do the actual work. Further, Susan Green was more than an interior designer. She was equally impressive in combining her knowledge of construction, getting things in an order where creative thinking was the only thing to drive a process that began with a blank page. I also liked your complete honesty even when you recommended things that were more expensive than I originally budgeted. On occasion, I gulped but knew that you know your business. And what you said was based on sound experience and our self-interest. In the long run, there is no doubt all solid wood doors, a quality heat pump, extra tie downs, etcetra, makes this special abode even better. I also like the way the wood looks and the paint on the framing. The plaster is perfect, windows doors go together well. All the lines between materials are tight. They fit sort of like the metal on a great car. I also like the way the wood matches up, the extras like a second one half inch trim around the larger trim throughout the house. As I have kidded you, only Rick Bernard would be gathering certain pieces of Brazilian cherry wood off a pile of excess discarded materials so if have what I need a couple decades down the road. We liked it when you said, “Let’s change the stairway, move it back. It will make a difference.” It did make a difference. I like your idea of enormous skylights upstairs and the list goes on. In my uneducated mind, a house becomes special when you take a design, break the mold and make the design even better. That is exactly what happened. You are very well liked in this area and well respected throughout the trade. I have nothing but good things to say about your work. Parenthetically, I worry because you worry so much about each customer. You are almost reverent in your desire to serve and do what is your very best on behalf of new homeowners And, I deeply appreciate you busting your behind to get me in before year end. While it was pouring bathtubs of rain, we were about ready to jump off a ledge with apartment living. Further, the move prior to January was important A lot of things hinged on that date. And even though you had some subs that lost weeks during the process, you made it happen. One more nice touch. When we arrived, the house was spotless, floors and window clean, absolutely pristine. It may never be that clean again!! So, please use this house to show others what you can do. While I recognize you’ve done others that are probably more spectacular, I cannot imagine living anywhere else. And, as we get older, a great house seems to take on extra meaning. We owe you a lot and can only express our sincere appreciation for the work, the energy and time you and your suppliers spent on our behalf. Thanks, Rick. It has certainly been a nice experience, lots of satisfaction and fun. I am writing this letter to express my appreciation to you for building my home here on Sauvie Island. From the date I hired you to construct my home you were prompt, courteous, professional and of assistance in many areas to help me keep the costs in line while still providing the highest quality construction. Because of your attention to detail and day to day oversight my six weeks spent in Washington D.C. during the time construction was underway, I felt assured that there would no be problems I would need to attend to. I was right . Your additional efforts and close contact with me during that time is appreciated. Thanks also for the prompt followup with the minor problems after I moved into my home. Problems have been few and of those needing attention you have dealt with quickly and with courtesy. If at any time you would like to use me for a recommendation please feel free to have your prospective customer call me. This letter is to strongly recommend Rick Bernard and Bernard Custom Homes for your next home. We purchased a home he built in January 2001 and were impressed with his attention to detail and fine craftsmanship. All of the craftsmen he employed were professional, timely and proud of their work. More importantly, Rick continued to provide superior customer service and attention to detail after we moved into the home. Rick Bernard truly believes in the homes he builds. 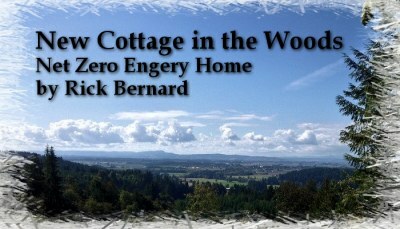 We highly recommend Bernard Custom Homes and will use him should we build again in Oregon. We would like to offer our sincere appreciation for a job well done. We continue to receive numerous complements on our new dream home. During the nearly two year process from the conception of the architectural plans through the actual completion of our home your philosophy about the importance of quality was clearly demonstrated. We remained constantly impressed with your attention to detail. If something was not right, you made sure it was. Through our daily contacts with you we realized that your hands-on approach to building was the right choice for us. The quality was so clearly apparent that we had a second appraisal done for our home after completion and the value had increased substantially from the initial appraisal. We would highly recommend you to any of our friends and would let them know that you stand way above your peers in the residential home building business. Feel free to have any of your future clients call us, we would be happy to show off our dream home. I would like to thank you for your help over the last year and a half, in helping me to pursue one of my life’s dreams of a home at the Coast. This was my first home that I have ever built. From the initial conversations we had on the phone to the site development planning, the architectural and engineering process, and then through the entire construction process, your efforts have been extraordinary. I would highly recommend you to anyone looking to build in the Manzanita area. At no point did I ever feel that the trust we placed in you was misplaced. The fact that we live in Springfield, Missouri, several thousand miles a way, and that we never met personally until the framing process was completed, has to be unique. Please feel free to have anyone considering using you as a builder to contact me personally. Building a custom home is a very personal experience! Bernard Custom Construction has the ability to transform your “want list” into a physical structure that is a result of their proven architectural and construction expertise, including attention to every detail. In addition, their prices are very competitive for quality work. I would have Bernard Custom Construction build me another house. We are the proud new owners of a Bernard Custom home which was built between October 1986 and February 1987. We are very pleased with the way the house turned out, especially since it was a semi-custom home and suffered some modifications from the original architectural design. We found Rick Bernard to be an honest builder, always “up front” about all aspects of the building process that concerned us. The house is solidly built and superbly insulated. The “open architecture style” that we liked turned out every bit as good as our highest expectations. We have never been associated before with a builder that visited the building site At least once a day, every single day that the house was under construction, as Rick did. We highly recommend Rick as a builder, businessman and consultant to anyone who is contemplating building a high-quality home. If you are reading this letter, I assume that you are considering building a home. My home was recently completed and the following is a letter of recommendation for my builder — Rick Bernard. Having never built a home, I was quite apprehensive. I had no knowledge of qualified building contractors and knew very little regarding what was involved. After receiving two different bids, I had unsettled feelings and actually considered delaying my plans, and then I met Rick Bernard. Rick was highly recommended to me. He explained the building process in great detail and provided a comprehensive bid. My immediate reaction to Rick was — trustworthy. You can have that perfect contract, but if you cannot trust the builder, you will have a disaster. Rick put my mind at ease. I felt very fortunate in having Rick as my contractor as most of the homes he has built are in the $1 million plus range. My home was actually under $200,000. The fact that he has built higher-end homes is evident in the quality of workmanship, both structurally and aesthetically, in my new home. He insisted on certain construction standards before he would build my home, and I felt that spoke highly of his integrity. All of his recommendations made sense and will definitely be worthwhile. Rick was very accommodating to some of my modifications and up-grades from the original contract. I can honestly say Rick is extremely knowledgeable, conscientious, and trustworthy. My home is now complete and Rick remains available. I highly recommend Rick and would be happy to speak to you regarding my experience. It has been a year and a half since our home was completed, and we wanted to express our deep appreciation to you and your company. We are so pleased that Bernard Custom Construction helped us create a home of unsurpassed quality and detail. Your ability to see our vision, down to even the smallest refinement, has made our experience working with you very meaningful to this day. Everyday we can look around our home, living the dream you so carefully helped us realize. Thank you, we will love and cherish our beautiful home for a lifetime. Florence and I want to thank you so much for our house. When we told our friends, both in Portland and in Philadelphia, that when we retired we were going to build our dream house, many of them thought it wasn’t one of our best ideas. When we told them that we were going to have it built here while we were to be away for a year in Tokyo, most of them thought that we had at the least gone crazy and at the most reached the “Z” in Alzheimer’s Disease. Well, we did go to Japan and you did build the house, and we are absolutely delighted with it. Since 1959 we have owned four new houses, which means that we have had some experience with builders and construction over the years. But none of our previous builders–not in New York, not in Virginia, and not in Pennsylvania–displayed your high standards, your attention to detail, your regard for our desires and anxieties-and your friendship. Florence and I hope never to have to build another house. But if we do, you will be the one to build it. We’ve now lived in our new home almost six months and we thought we’d drop you a note to express our feelings about the home and the role you played in it. Our total experience supports the philosophy that the most important thing a person building a home can do is select a good builder. We love our home and the job you did building it!!! home from the very first day the earth was broken until it was completed and we can safely say we didn’t miss visiting the construction site more than 10 days during the six months of construction. During that time we had ample opportunity to watch your construction quality versus that of the other houses on the Street Of Dreams. We’re convinced that we have the best constructed house,. one that exactly meets our expectations, is very functional and very beautiful. We are very proud of it and so should you. We also appreciate some other things. For instance, we can remember on numerous occasions where we wanted to do a particular thing and you advised against it and suggested an alternative_ We were not particularly happy some of the times but went with your suggestion. We can’t think of even one situation where we were sorry in the end that we took your suggestion. This demonstrates how your tremendous experience and knowledge about building homes was invaluable to us. Throughout the construction you created the impression that the home was going to be your own and you wanted it done very well. That is very comforting to people like us who have to place a tremendous amount of faith in a builder. Last but certainty not least, practicality dictates that even a new car built to exacting standards will need some warranty work. We have found a good working relationship here that combines the need to let the house settle and our desire to get some things done. Your command over the subcontractors is quite good and very much appreciated. Finally, if Paula and I should ever become crazy enough to sell, move and build again, rest assured you’ll build our next home. Bernard Custom Construction has the homeowner in mind throughout the entire construction project. The company is experienced, knowledgeable and is up to date on the most advanced designs and products. This coupled with honesty and integrity makes Bernard Custom Construction an excellent choice in residential construction.